1. Little Women by Louisa May Alcott (Penguin Threads Edition) - I cannot even tell you how much I love this cover in real. It looks like it's embroidered and is amazingly detailed. Do a Google image search to see for yourself! 2. Pride and Prejudice by Jane Austen (White's Fine Edition) - While this cover may not look like much here, there's just something I love about it. It looks so lovely in person and on a bookshelf. Just trust me! And it's like fabric/clothbound which is obviously amazing. 3. Jane Eyre by Charlotte Bronte (Penguin Deluxe Edition) - I have almost all of the Ruben Toledo illustrated Penguin Deluxe Edition classics, but I think this is one is my favorite. It has such an eerie feeling. Plus, I love that it looks classic but also has a modern feel to it. 4. Anne of Green Gables by L.M. Montgomery (Vintage Classics Edition) - This cover hasn't been released yet, but I really love it. Something about all the green just makes me so happy and seems so fitting for this book. I can't wait to have a copy for my shelves! 5. 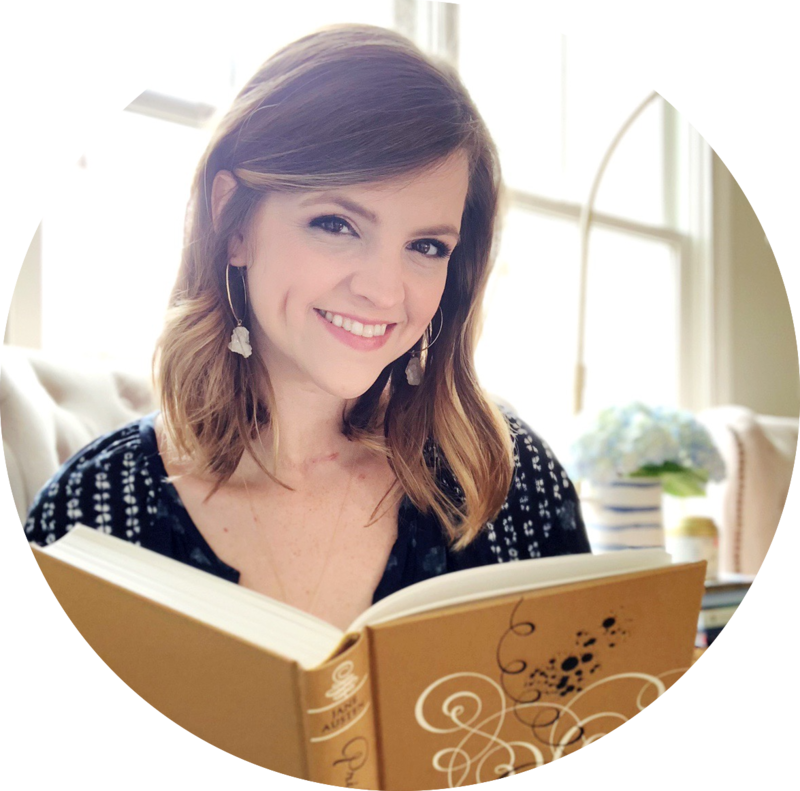 Pivot Point by Kasie West - Okay, this is probably not in my top ten favorite covers if I was going to spend more time thinking about this prompt, but it still came to mind when I was compiling my list. Seeing this cover at my library prompted me to snag this book off the shelves - it had such a neat silver look with just a tiny touch of blue. 6. 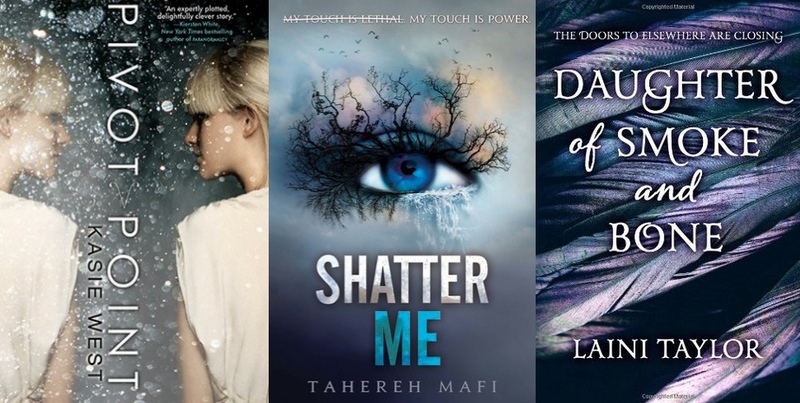 Shatter Me by Tahereh Mafi - I think there are mixed opinions on these covers, but I love them. They are just so eye-catching (pun intended) - I just think they are perfect for the book! 7. Daughter of Smoke and Bone by Laini Taylor (UK Edition) - I don't own a copy with this cover, but I'm going to. I seriously love the shimmery feathers. Tell me you're not intrigued by the story just looking at this cover! 8. There You'll Find Me by Jenny B. Jones - I love their outfits, the rain boots, standing on the edge of the water... I just think it's styled really well, and it definitely made me want to read the back cover. And then I ended up loving the book so that was an added bonus! 9. 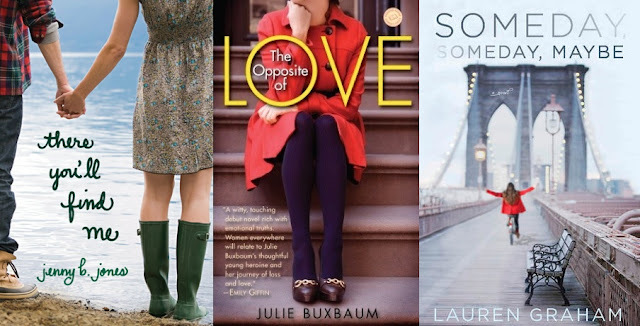 The Opposite of Love by Julie Buxbaum - I initially picked this book up at Borders because I saw the cover out of the corner of my eye and had to go check it out. I just love the way she's sitting on the steps, and I really like how the title looks. 10. Someday, Someday, Maybe by Lauren Graham - For a book where New York is central to the story, I think this cover is perfect. I also really love the colors - and the pop of red from the heroine riding on her bicycle! That Anne of Green Gables cover is so freaking adorable! Not only does it make me want to be a little redheaded girl running around the countryside, but it makes me wish I liked the book more so that I had a good reason to buy it! 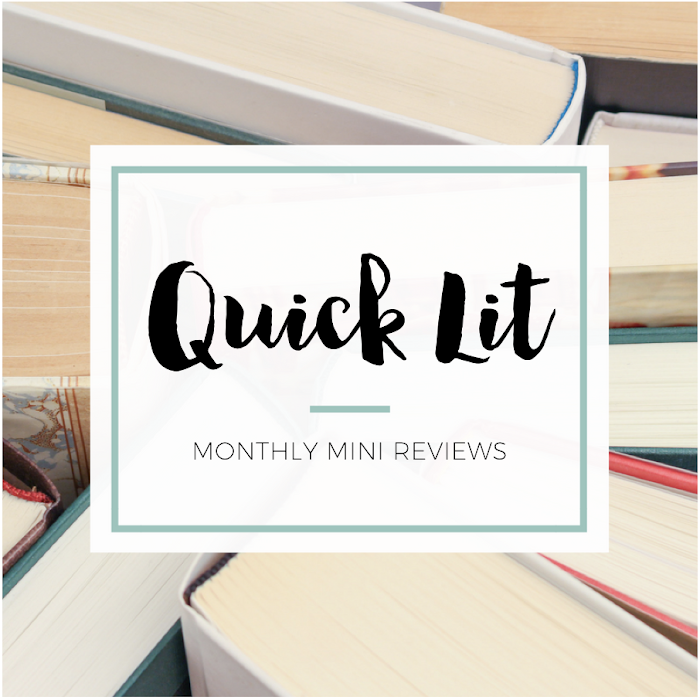 I had to shy away from classics on my list because they are too many good covers out there! I much prefer the UK edition of Daughter of Smoke and Bone to the US one. I know people say it's boring but I just really hate the US cover. :/ I love the pop of read on Someday, Someday Maybe too. So excited to read it!! Pivot Point and Someday Someday Maybe are two books with beautiful covers that I really want to read. Yeah, I loved that cover even more after reading the book because it fits so nicely with the book. I freaking LOVE that Jane Eyre cover!!!! The Someday, Someday, Maybe cover is super cute.... how was that? I'm always nervous about celebs gone author! I really wish I'd bought the UK version of Daughter of Smoke and Bone, because it's so pretty! But I do love the US version of Days of Bood and Starlight so... I was conflicted lol. 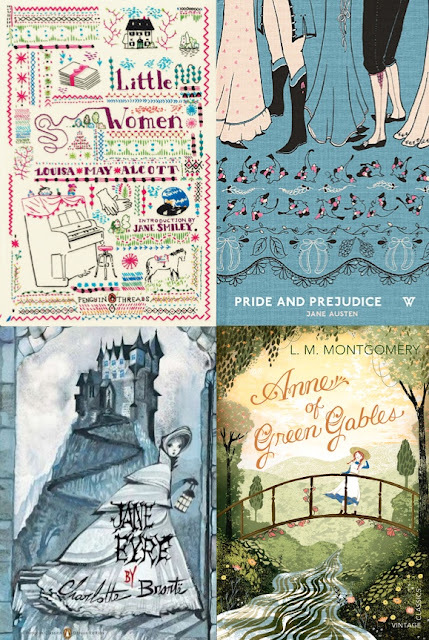 I absolutely LOVE the classic covers you posted, especially Jane Eyre! So pretty! Haha! Yeah, I haven't bought either cover but I definitely think I'll get the UK one once all three books are published. And yay for loving the classic covers! I love the Penguin Threads line, too. Penguin is seriously the reason I have a million copies of the same books haha! The 4 top ones/retakes on classics are gorgeousness. I love them all. Aren't they just?! I almost made this list all classics. That's my favorite section too! And so glad you love Shatter Me and Someday, Someday, Maybe. SSM was so good - really loved it!